Ctitch - Life management for everyone! Ctitch is currently in Beta testing. Please check back to see when we go fully live. Your Project Notes, Lists, and Daily Schedule. All in One Place. Ctitch helps you stay organized by keeping your project notes, lists, and thoughts together in one place, organized how you want. 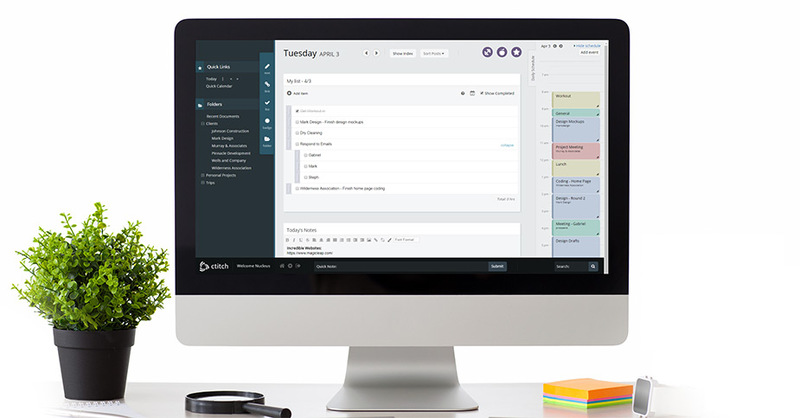 Ctitch keeps you organized so you can focus on doing what you do best. It's perfect for entrepreneurs, freelancers, students, and anyone who needs help with personal organization. 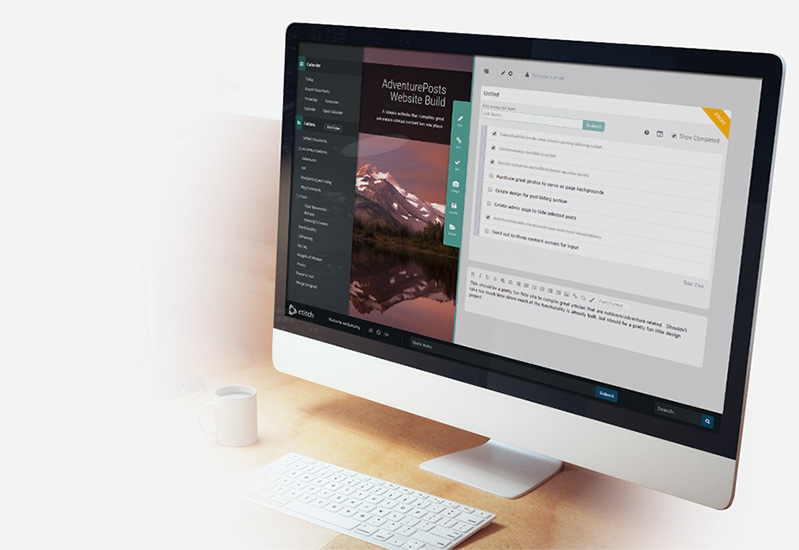 Ctitch is a little like a personal dashboard for your life, business, and projects. Keep your project to-do lists and notes together in one place. Organize everything into folders or add tags for easy reference. Keeping everything you need for your various projects at your fingertips is easy with Ctitch. Stay on track with daily to-do lists and your schedule. It's easy to plan your day when you have a comprehensive view of both. Easily add tasks to your daily to-do list from project task lists and never lose a thought during the course of the day with Ctitch's quick-note feature. Ctitch is free! In the future, we do plan to charge for plugins and additional features, but whatever features you have access to upon signup, you will always have access to for free.